If one notices the period from 900 to 1300 which still does not include some of the examples of worldwide MWP you see an increase in extent for the majority of that time as indicated by the average. Only ~1100 - ~1200 AD show a decrease. I do not see any decline for the period Snowy highlighed earlier? Why is that? I have no doubt that we will be told that Kinnard is sloppy and or corrupt, the paper is faulty and this is just a cartoon that can be safely dismissed and we should only trust good papers supplied by Snowy. It would be interesting to compare your graph for the arctic with the ANDRILL sea ice extent graph for the antarctic, if the loss of ice is so great in the arctic then the less than a decade tempreature rises of 10C in the past clearly shows we have not seen the end of the natural cycle. 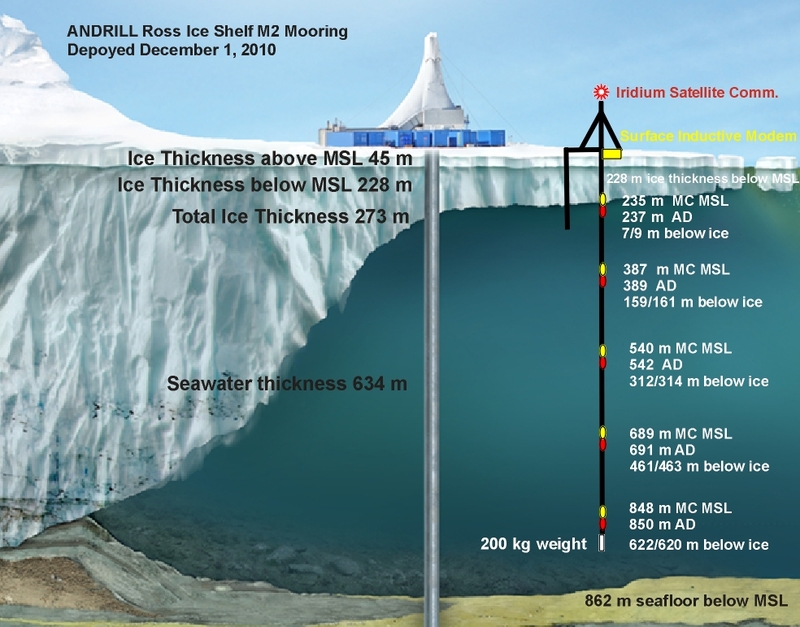 That might be difficult Sponge as the ANDRILL project does not seem to be a reconstruction of Antarctic sea ice, Its a project to take Glacial ice cores. That is only a small part of what they do spot (one small part), the main area of their research is the sedimentary cores from the sea bed under the sea ice. Funder et al. 2012 find a different conclusion than this study. They do not find nearly as dramatic of a decline as the study you posted above finds. So models are acceptable for sea ice extent or just when you like them? The dramatic drop off is measured not reconstructed, if you want to argue that sea ice extent does not display a downward trend in the last thirty years that's fine with me, hopefully the rest of the world will look at the news and see how silly your being and take no further notice of you. Also the modeled graph is ~3 times longer which affects the scale of the drop off. Wayne's graph starts at 7.75 for ice extent, snowy's graph starts at 0 and still goes up to 11 and if you look closely the drop off is in the same kind of range but looks less dramatic because it starts at 0. This year so far has exceeded last year already, making the geometric observed change that much more alarming. While so many hope for an ice free Arctic and plundering fossil fuels to make things even worse for everyone but their wallets. Of course, in a natural world without HGHGs causing this departure from the cooling toward ice age cycle, the ice would be getting thicker and extend more and more. It shows the possibility that the tipping point of open ocean warming increase may already have been crossed, and combining with tundra methane releases in effect. For some meanings of "substantially". 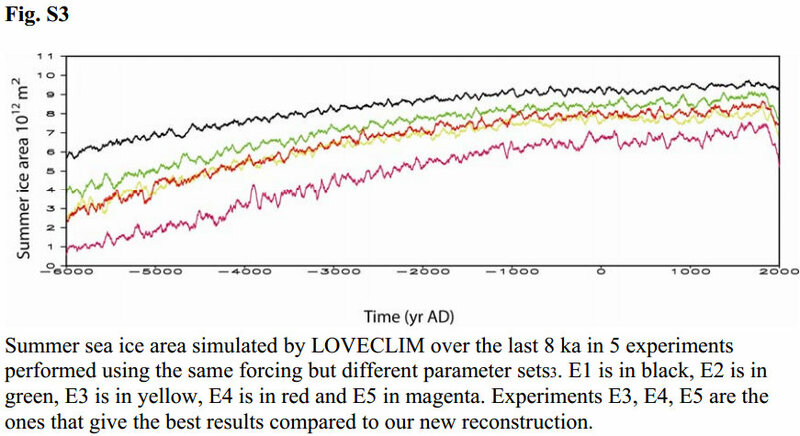 The Global Phenomena is that it might have been a bit warmer around 1000AD in the northern hemisphere, but temperature reconstructions vary, and it might not have too. Yet with all this going on, CO2 is higher than it was in the past and the temperature is still 3-5C cooler, with only a 1.2C rise in about 150 years compared to 3-5C (and higher) rises in shorter time spans of a decade or less in the past, clearly showing CO2 is not the demon we have been led to believe, the only thing that we have done to increase the CO2 in the atmosphere to the extent it has is cut down the damn trees to make this wonderful world for a 1/4 of the population that will never let it go while the other 3/4 starve and their land is used to feed, clothe, power and make all those other glittery goods like the PCs we are all using to type on, or the gold in some peoples teeth or around their necks or the diamonds on the end of our drills and in our saws or again around some peoples bloody necks. Where did anyone get accurate decadal data that far back? The error bars for the date alone are larger than that for any long term reconstruction, much less the temperature. The arctic Wayne, they have refined the resolution in the way they study the cores when using O18 instead of gases, as we all know show massive uncertainty due to the squeezing of them upward and away from the layer they settled in. 2002; Lambeck et al., 2002). or ‘Dansgaard-Oeschger events’ (DO; Figure 1.3). during these rapid warming events is not known. et al., 1991; Weidick, 1993; Huybrechts, 2002). 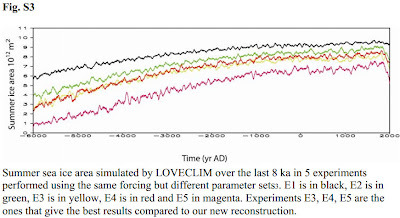 In the present Holocene climate (the last 12 000 years)"
"On the other hand, very rapid warming is known to have occurred at times; for example, Anklin et al. (1993) report warming by 7 °C over a few decades in Greenland at the end of the Younger Dryas and the Intergovernmental Panel on Climate Change (IPCC 2001a) concludes that warming may have occurred at rates as large as 10 °C/50 years for a significant part of the Northern Hemisphere at this time." "Ice core data from the last glacial period in Greenland show that change at that time could proceed rapidly - with several increases of more than 10ºC within a decade to possibly one to two years (Fig. 3.13); comparable changes in Antarctica were much slower." Talking about error bars, how narrow would error bars become when data that is collected daily (and adjusted) gets converted to monthly (and adjusted), 3 monthly(and adjusted), yearly(and adjusted), then 5 yearly(and adjusted), then 15 yearly (and adjusted) like all the pretty data that is used to push the current warming cycle and CO2? ?